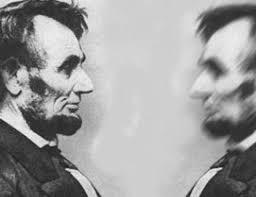 The Abraham Lincoln case remains one the best-known instances of the phenomena known as The Doppelgänger. Coined by German novelist Jean Paul in 1796, the “double-goer” has taken on a mass of variations throughout human history. Referred to as the ‘co-walker’ in Scottish folklore, the Vardoger in Norse mythology, and the Fetch by the Irish tradition, Doppelgängers have walked this earth from the times of the ancient cultures up to present day. The variations in Doppelgänger folklore tend to correlate to their cultural context. One of the more significant differences is found in the nature of this doubles; some are found to be purely malevolent while others vary on the more benevolent side. The Fetch, for example, can be seen as both depending on the time of day one is sighted: in the morning it is perceived as a positive omen of good health, in the dying rays of the day it is seen as ominous, bringing a warning that the end is nigh. The Finnish etiäinen takes the function of a genie or spirit guardian and is also not seen exclusively as a bad omen or harbinger of death, Instead, it tends to anticipate the actions of the person and precedes them in a space, usually performing routines, or menial repetitive tasks. Other variations of the Doppelgänger, such as the Ankou of Celtic and Norse French folklore, function exclusively as wicked entities, bringing with them certain death. The more famous case of Abraham Lincoln’s doppelganger continues to fascinate, arguably because of the air of historic legitimacy and prestige placed on the president himself added to the truth of his tragic demise – the supposed culmination of the threat of the double-goer. They say that if one sees their own double it is a grave omen, to see it more than once death is sure to ensue. The case of Piercy Shelley represents one of repeated instances in which he was privy to the company of his double, instances where the doppelganger spoke to Shelley, husband of the more famous Mary Shelley, author of Frankenstein. The account goes that Shelley had incurred his ghostly double and been asked by how long he intended to remain content for. Shelley would perish soon after in a tragic boat accident at the age of 27. 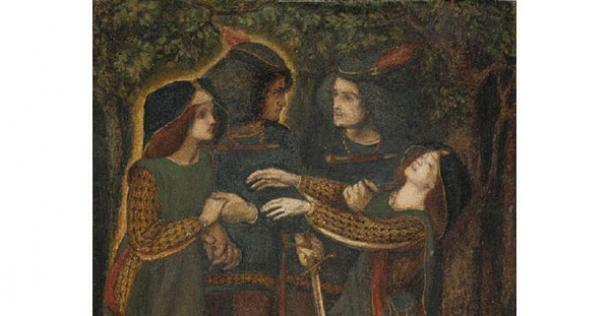 One of the most famous depictions of the Doppelgänger is a Gothic painting by Dante Gabriel Rossetti titled, “How They Met Themselves.” Painted in 1860, it was preceded by a pencil sketch version from the Rossetti in his youth, suggesting the painter was fascinated throughout his life by the subject. The image itself depicts a couple on a moonlit stroll, the sudden incursion of their ghostly doubles evident on the lover’s faces. As the woman falls in what can be interpreted as a death swoon, the man is seen to draw his sword in response to the intrusion of the phantasmal doubles. The drama of the scene is not lost on even the casual observer that is emphasized by the close framing of the colliding couples along with the foreboding darkness of the forest locale highlighting the spectral nature of the doubles. Despite the cultural variations the Doppelgänger, with explanations ranging from the paranormal to the psychiatric models, the Double continues to present itself to individuals around the world – the question is, are you unlucky enough to encounter yours?